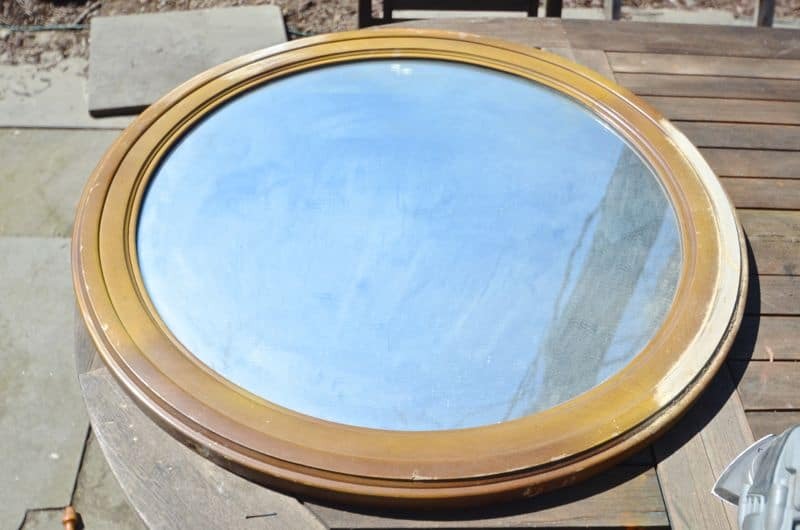 Let’s start with the mirror because you will NOT believe how that beauty looked when it entered my life… Last Sunday was the first weekend of the season for me at my beloved flea market. (Have I mentioned how much I love flea market shopping??) 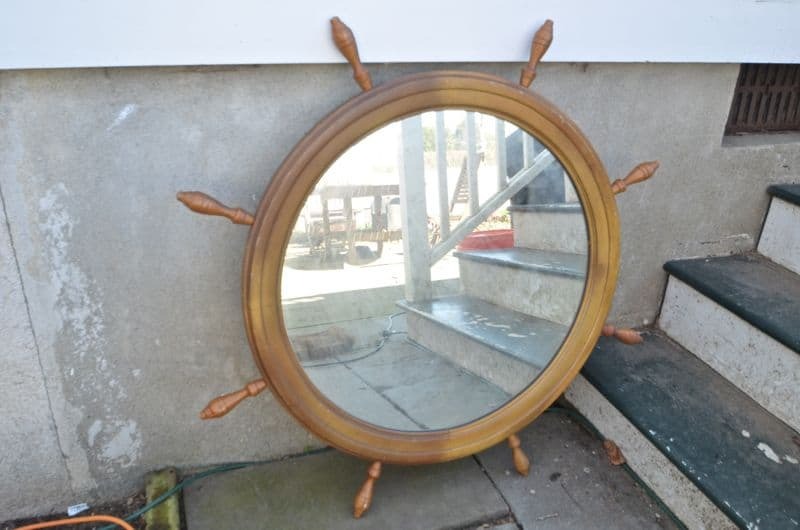 I was on the lookout for a mirror to anchor the one large wall in there. I wanted a mirror to help brighten the space and I was hoping for something non-square… think round or hexagonal. Aisle after aisle went by and then whammo. I see this nautical lovely. It was a *tiny* bit smaller than I wanted, but for $20… it had potential. Definite potential. I thought about building out around the frame or weaving something between the steering wheel handles. Both of those options sounded like a lot of work so… I reached for my Dremel Multi-Max (affiliate) and lopped off the spindle thingies. Oh my gosh so much better! Pictures don’t quite convey the shiny pine finish that was on this mirror. It screamed 70s and wasn’t even a little bit cool… it reminded me of the wood trim that was on our station wagon in elementary school. Or the popsicle stick pencil holder I gave my dad in 2nd grade. Or even that This End Up furniture set that was in my grandfather’s guest room in middle school. All bad. So I sanded it all off and uncovered the natural wood hiding beneath the 70s. I cleaned it up with some Restore-A-Finish in Neutral (affiliate) and you would NOT believe it was the same mirror. It echoes the portraits hanging across from it over the fireplace. 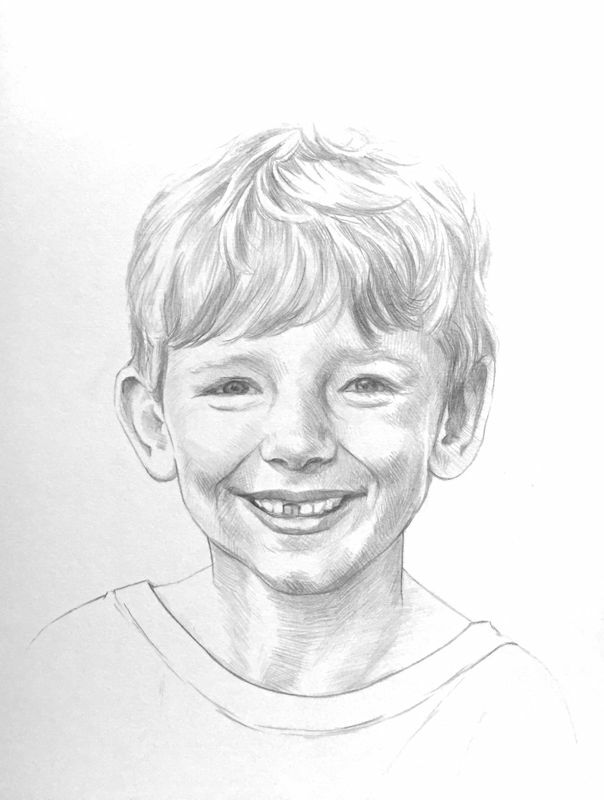 For Christmas, I gave Mark these pencil drawings from the MOST amazing artist I met on etsy: Jessica Jorgensen. I ordered the 4 big kids and then couldn’t resist adding Arthur just recently. Baby portraits are never quite right because of their ever-changing little bodies, but I couldn’t be happier with this adorable quintet! I kept the frames super simple and can’t stop smiling whenever I walk through the room and see them all hanging there not fighting and not talking back. Pencil drawings are the best for that. 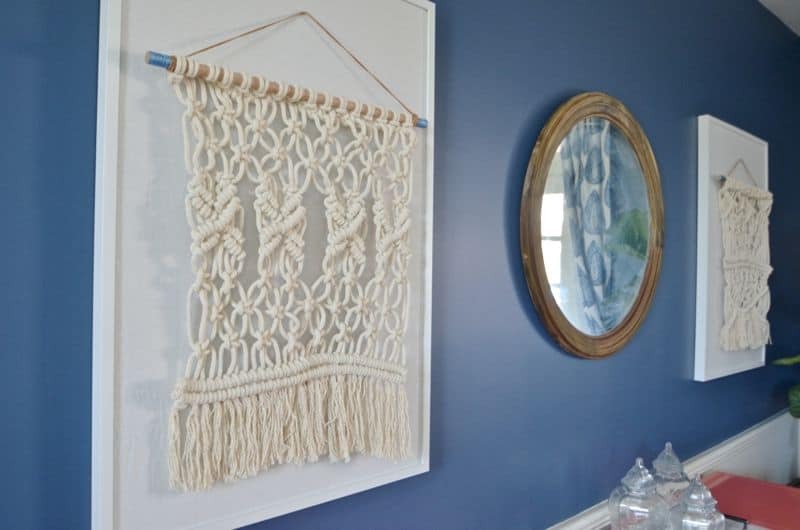 The macrame art is my JAM… I made those too, but you’ll have to wait on the tutorial for those later in the month. Sorrynotsorry. In case I’ve given you the impression that this room is close to being done… here’s how it looks. Not done. Even a little bit. 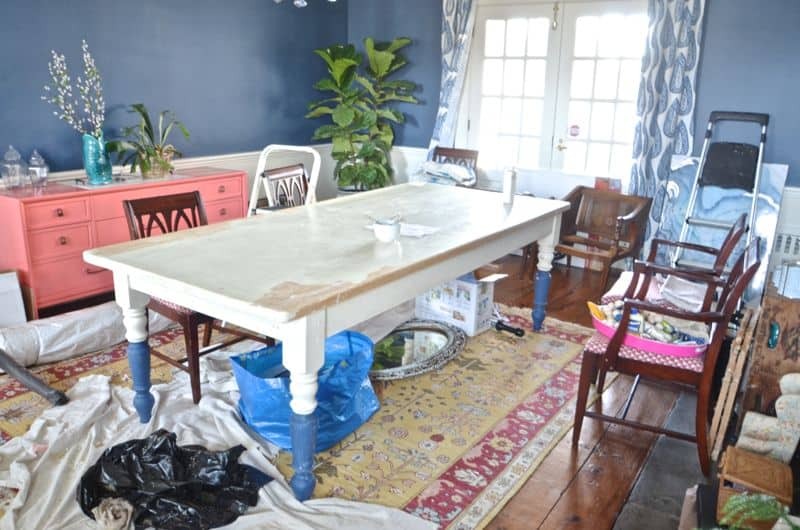 Here’s what’s left: Painting the table, upholstering 2 arm chairs, accessorizing/ setting the table and all the other little things that come with finishing touches. 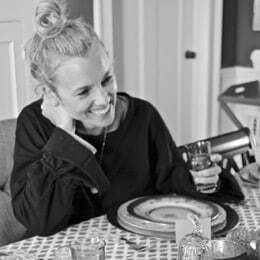 Make sure you check out the link up over at Calling It Home to see how everyone else is doing with their rooms! Here what I did WEEK 1 and WEEK 2! That mirror is such an improvement! And I can’t wait for that macrame tutorial! Thanks, Arielle! The photos don’t even convey how bad the pine finish was before! It’s so nice and simple now! Charlotte, it is really coming along. 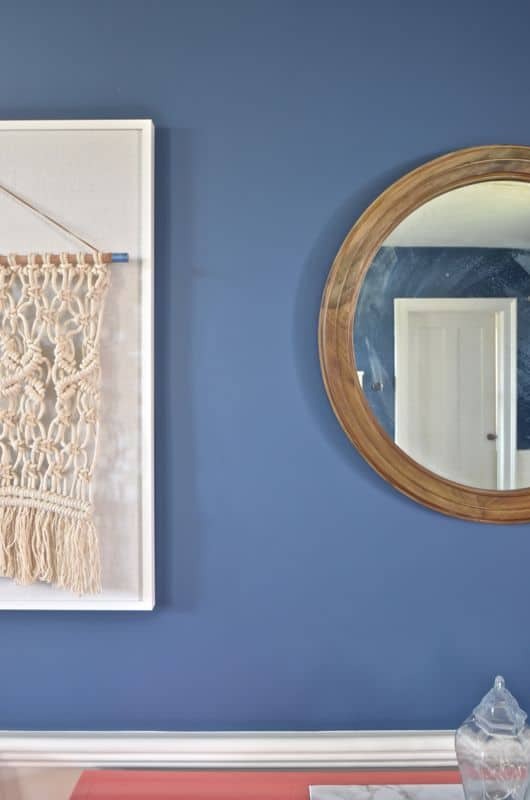 The macrame is such a nice yet unexpected touch. And they give balance to the mirror. 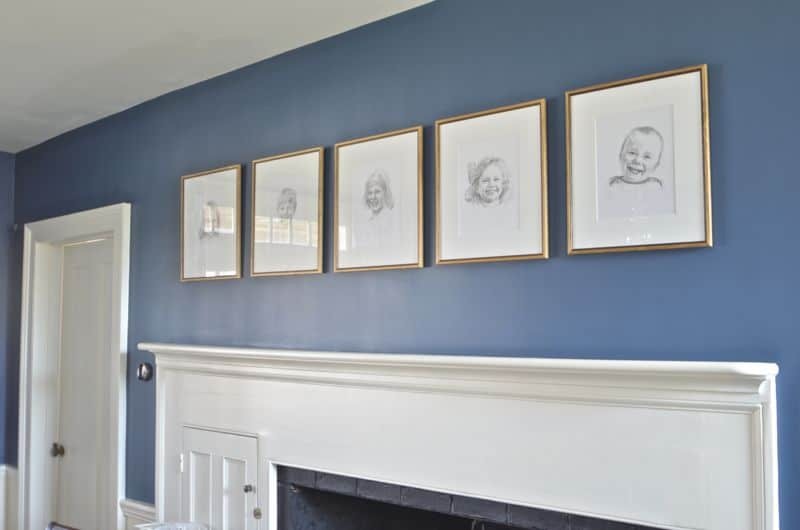 My favorite part of the room is the kids’ portraits. Nothing like a personal touch, although your home is full of personal touches. And how do you paint without anything on the floor? You must be a pro by now! Charlotte- You have been busy! Thanks, Laura! All of a sudden you blink and a week has gone by! Ack! 🙂 Hopefully I can finish up the rest! 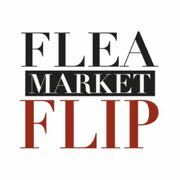 Flea market shopping is the best!! 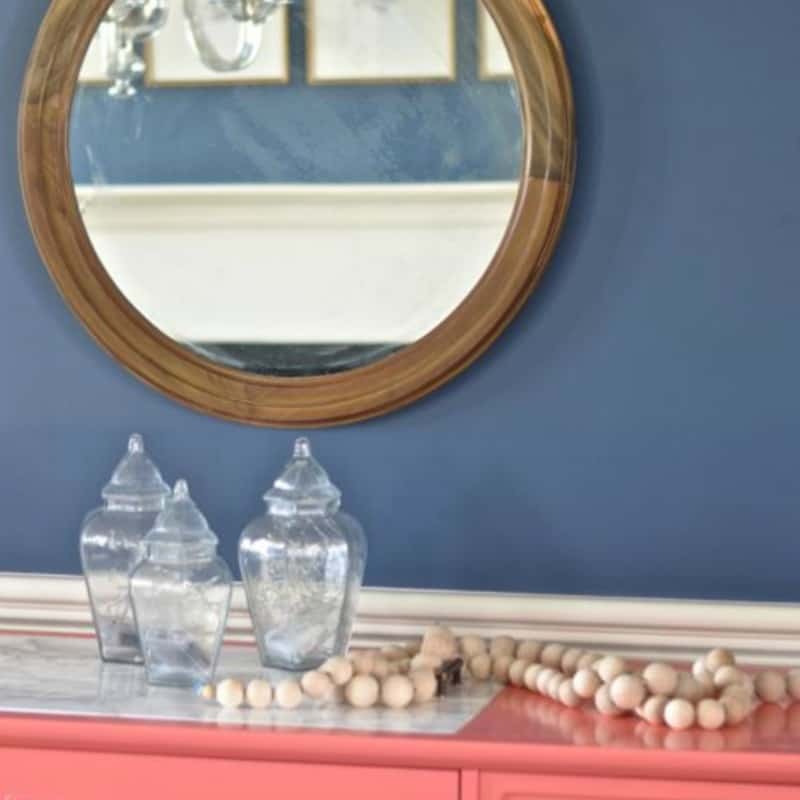 That mirror is beautiful, I love the finish you chose for it! It looks great on your blue wall, which I also love. Can’t wait to see the finished room! That mirror IS nauticool! That is an amazing transformation and is there anything quite as awesome as the Dremel???? I love any and all projects that involve it. 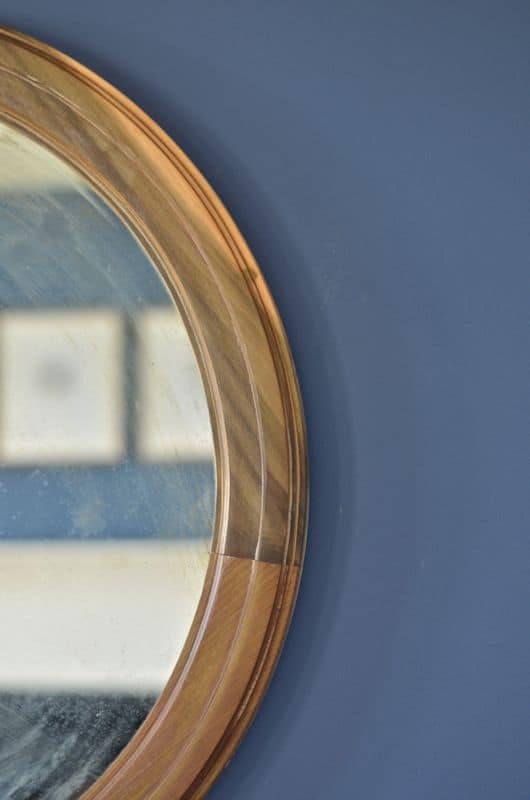 The wood tone looks so great on your blue wall. Looking forward to more of this room next week! No! It works for EVERYthing!! Thanks, Lisa! You are a genius! 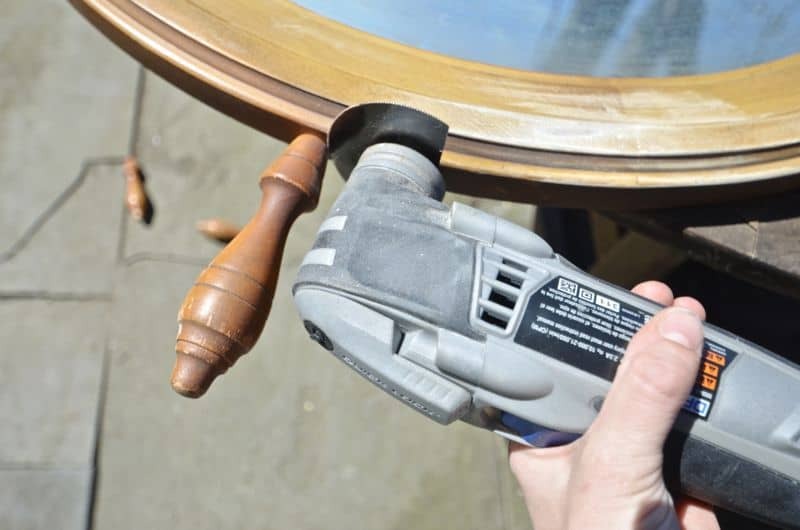 I would have never thought to remove the spindles. Love the drawings as well. Can’t wait to see this reveal. 3 weeks left… we can do it! HAHA! I know! I’m feeling foolishly confident which tells me I have a long way to go! Gah! I love the blue you chose for your walls. My husband refuses to paint again in our dining room any time soon since it hasnt even been a year since he painted and within the last couple weeks he finaly finished the trim and base boards. I really want a darker blue accent wall. Currently all 4 are helium by Behr. I am loving your dining room, we are doing ours too and its slow going. I have 3 littles and a birthday party im planning a birthday party set for 3 weeks from bow so i cant do what im wanting to do which is to sew up my curtains and make some macrame plant hangers for infront o the window. I cant wait for your macrame tutorial. Its just what i have been planning for my family room! There’s NEVER enough time in the day, is there! 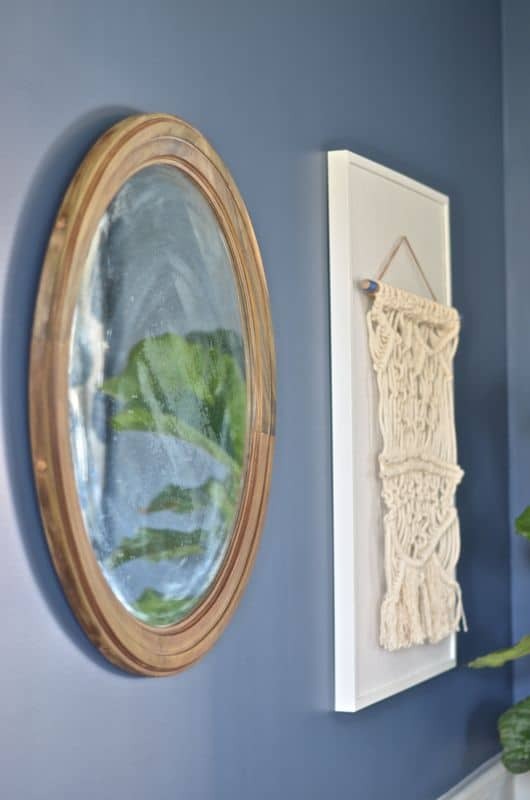 Macrame is super easy… Check back in a few weeks and I’ll try to get the tutorial up! Thanks, DJ!